During the Mobile World Congress in Barcelona, Blackberry announced three devices that included the Blackberry Leap, The Slider and the high End Porsche. The Blackberry Leap has finally hit the stores. The phone will also be available through the ShopBlackberry. The countries in which the phone will be available include Germany, France, the US, Canada, the United Arab Emirates, Saudi Arabia and India over the next few weeks. 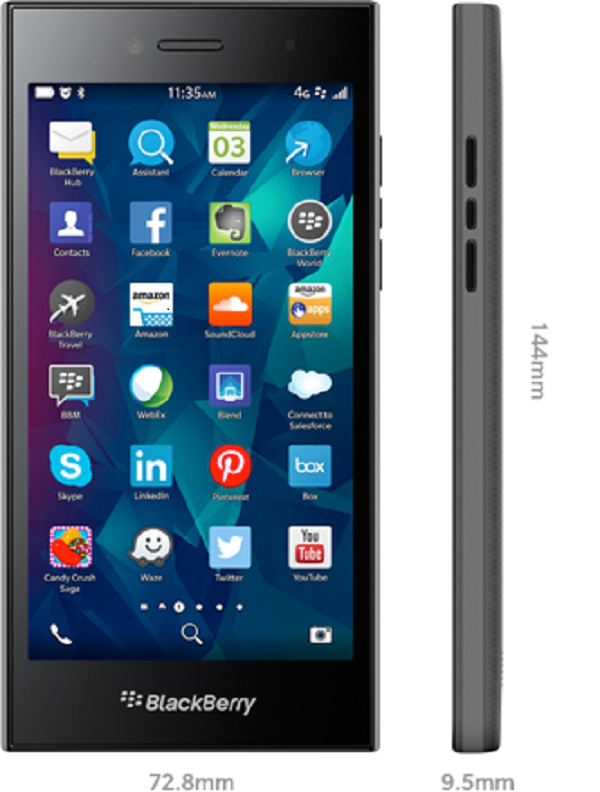 The Blackberry Leap is a mid-range specifications device sporting a 5-inch 720×1280 IPS LCD display, an 8MP rear camera, and 16GB of storage. It also has a microSD card slot upto 128GB and a 2800mAh battery that is capable of 25 hours of battery life.The device is seen as a successor of the widely popular Blackberry Z3 launched in the emerging markets. The device features an update of the Blackberry 10 OS which dealt with Blackberry’s application availability. The phone costs $275 with its major targets being the young professionals. The Blackberry Leap. The Leap boasts of among other features the Blackberry Blend that allows users get instant message notifications, read and respond to your work and personal email, BBM or text messages, and access your documents, calendar, contacts and media in real time on whatever device.